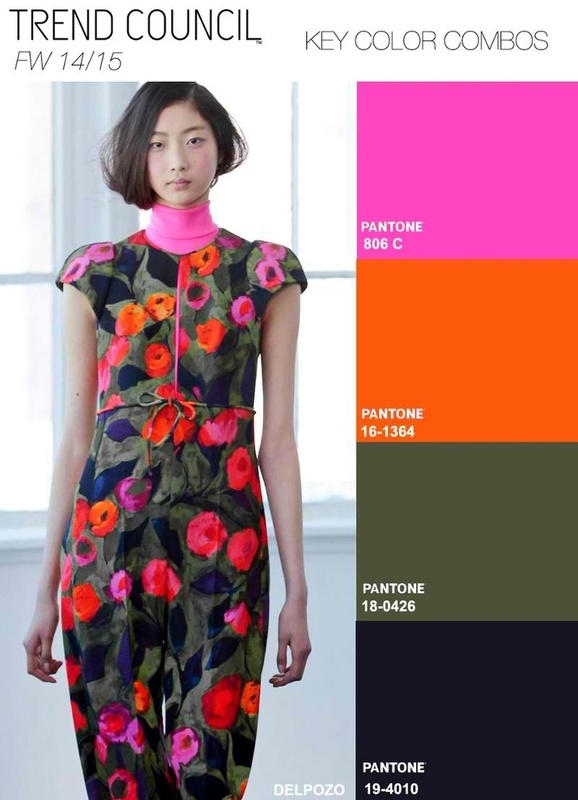 Key colors for this Fall/Winter 2014 are bright, flirty and fun. Bright pinks, oranges, and deep greens are making their rounds on the runway. Here we see a floral fabric with that flirty color combo.